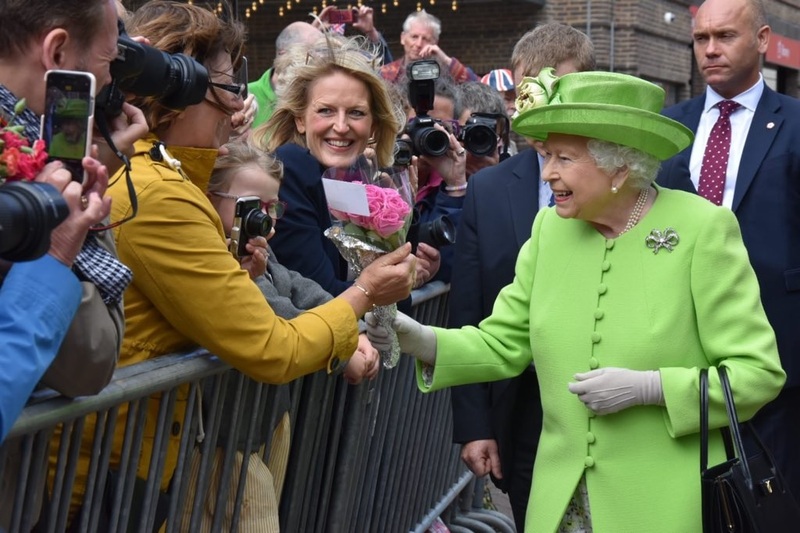 The Queen, accompanied by The Duchess of Sussex, visited Cheshire for a day of engagements. A jolly away day for these two, as you knew it would be. The Queen was neon in her repeated Stewart Parvin coat and dress with a Rachel Trevor-Morgan hat; The Duchess of Sussex was elegantly blergh in Givenchy, a return to her British wedding gown designer, Clare Waight Keller. I would be absolutely head over heels about Meghan's ensemble if it was in a more interesting color, but as I said, it is still elegant. The real feature here are her earrings. Buckingham Palace took the unusual step of confirming that they are a gift from The Queen - a gift, not a loan. They are pearl and diamond, a baby version of the button earrings worn by Her Maj on a daily basis. Many are suspecting that these were pulled from The Queen's personal collection, but I'm not so sure; she tends to loan those pieces, so the mention of these being a gift has me wondering if they weren't purchased for Meghan. This design is so basic and so common, it will be hard to be certain unless the palace decides to confirm again. Anyway, the design works well on Meghan. (There's a reason one pearl and one diamond in an earring is such a popular combo, there's a version for everyone!) As for Her Maj herself, she sported Queen Victoria's Bow Brooch, which we haven't seen much of this year, and it looks great on this coat.